In today’s gaming world, fan remakes are everywhere. Whether it’s a classic Mario game, the latest FPS or anything in between, some plucky group of fans is likely out there trying to make it even better. It’s like a rule of the internet; if something exists, someone out there is trying to remake it. But even with this flood of remakes, there are some that really stand out from the crowd. 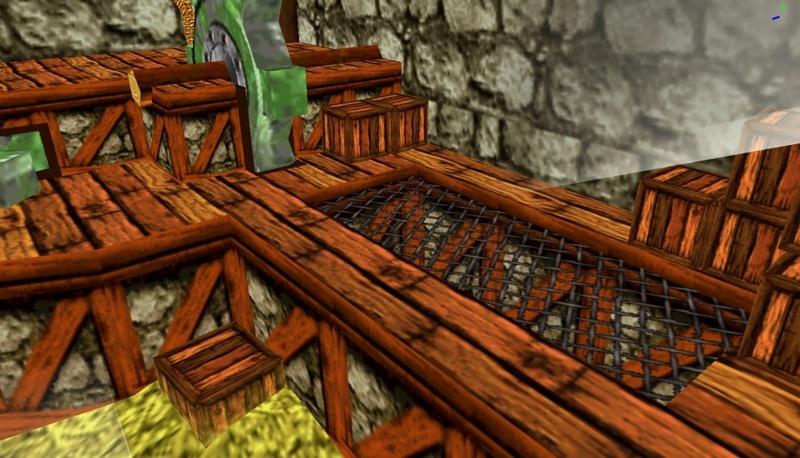 Games which take an early title and make it a full 3D extravaganza with all the trimmings. Remakes that make you wonder how the project is even possible. Or fan recreation of classics that even match up to commercial games on a quality level. And so that’s what this list is all about. Fantastic fan remakes that tried to overhaul Nintendo games and make them much better than ever imagined. Some got cancelled (those are marked with a [C} icon). Some are still in progress. And some? Well, they just vanished off the face of the planet for no apparent reason. Either way, let’s begin the list shall we? Namely with a lesser known title. Does anyone remember what’s Conker’s first video game was? As you can see, it’s got its own charm. But something doesn’t really work about the game. Namely, the whole 2D top down perspective. Why? Because it doesn’t really lend itself well to the collectathon/puzzle platformer type gameplay. It comes across as confusing and a tad bland. And so that’s where this game came in! 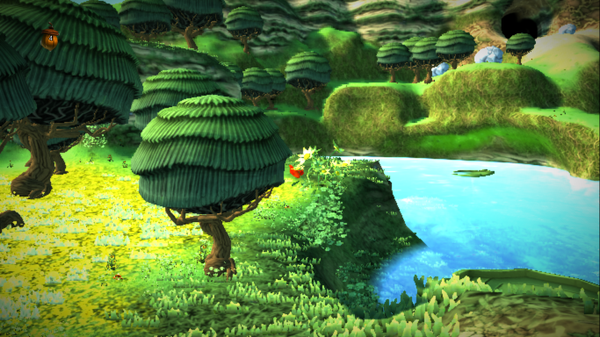 Conker’s Pocket Tales HD was a fan remake of Pocket Tales in an editor called Project Spark. What was Project Spark? Well it was basically a game maker program released by Microsoft for Windows 8, Windows 10 and Xbox One in late 2013 and early 2014 respectively. Looks good, doesn’t it? Yes, yes it does. And based on the topic about the game by Agent Ape on DK Vine, that was only a small teaser of what was to come. Because Microsoft killed off Project Spark. Yes, the company decided their ‘game maker’ wasn’t popular enough, so they discontinued the game and shut down the servers for good. 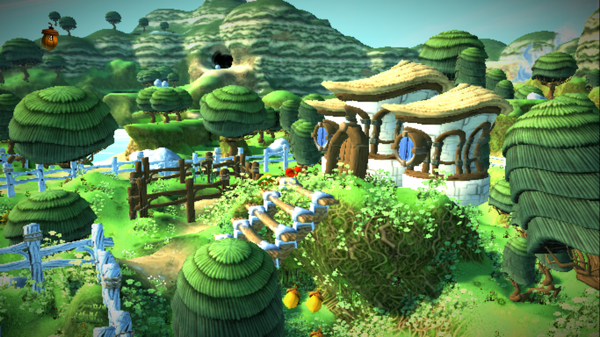 As a result, Conker’s Pocket Tales HD became the first fan remake to die because it’s engine went the way of the dodo. Talk about some miserable luck! Or as the creator called it, Super Mario Land 3 Remix. 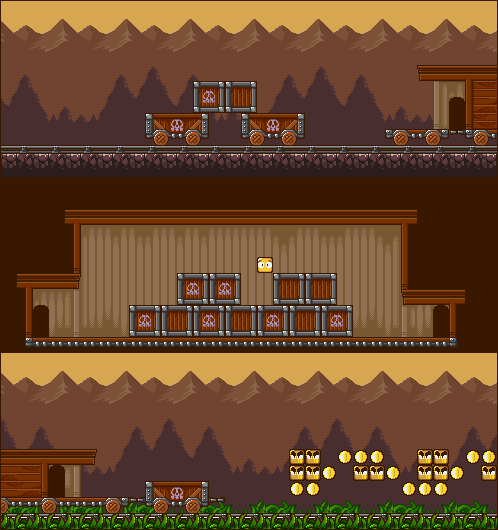 This ROM hack was meant to reimagine Wario Land 1 as a Mario title in the Super Mario World engine, complete with all new graphics and level design tweaks. Heck, it was even going to be a base hack at one point! You were going to be able to make your own Wario Land style game by using this one as a base, complete with all those lovely graphics and what not! Unfortunately, it never came to be. NeonSwift (the creator of the game) eventually stopped updating his blog and SMW Central topic about the title, and hasn’t been heard from since 2009 as of this article’s writing. End result? It’s pretty likely that Super Mario Land 3 Remix will never see the light of day. It’s not as good as the cancelled one might have been, and it does have a few glitches, but hey, at least something good came out of the ‘Wario Land remake’ idea. But how about something a bit more positive now? Like a remake that’s not been cancelled? It’s a really impressive game, and definitely one that’ll be an amazing recreation of the original if it’s ever completed. Well, it does count as a remake, right? After all, just because it’s remaking a cancelled game doesn’t make it original. And hey, if that wasn’t enough, it even tried to restore the game’s beta content too! So it’s a remake of two games in one! 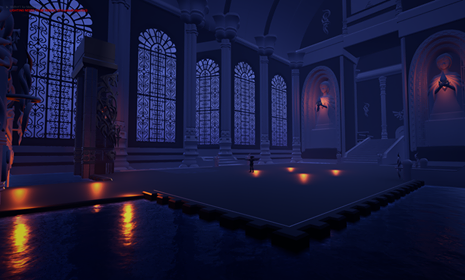 Either way, the URA Project looked incredible when it was in development. We were going to have a whole new set of dungeons! With new enemies, bosses, story, final boss, items and everything else besides! A whole new soundtrack was being composed and sounded incredible! It was big. It had an official site on The GCN. There were pages upon pages off discussions on every Zelda fan site and forum under the sun. Why did we never get to see the URA Project get released? It’s… a long, convoluted story. The game had more internal strife than Duke Nukem Forever by the time it imploded. Talking of Zelda, URA Zelda wasn’t the only interesting attempt at a Zelda remake. Oh no, the first game got one as well. In 3D! But wait, you may say. Isn’t this the one Nintendo shut down? The one you played in your browser window? Ah. No. No it isn’t. That one was a sort of 2.5D Zelda 1 remake, with the same retro sprite graphics turned into simple models. 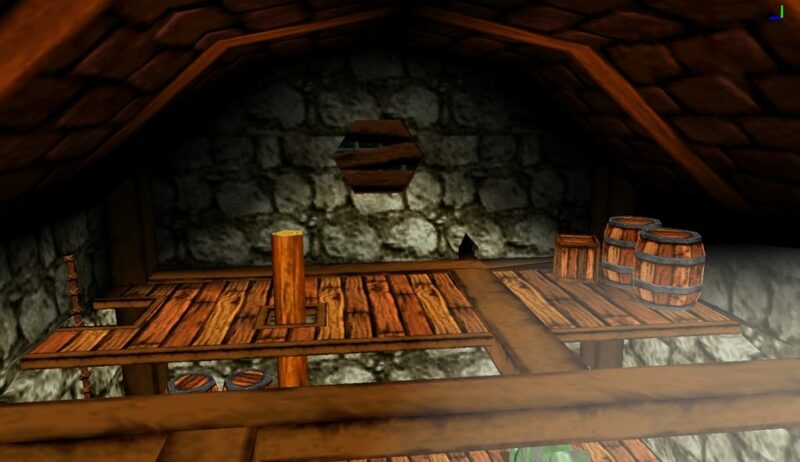 This Zelda remake is full 3D, complete with the possibility to use a third person camera like in the 3D Zelda titles! As you can see, it looks pretty awesome really. Oh sure, Link doesn’t have animations yet. 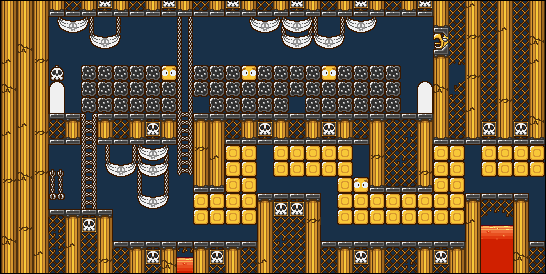 And various sprites and enemies weren’t implemented. But damn, the creator was going the full distance with the modernising here. Nods to modern games were being added. Like statues of Nabooru in the dungeon renamed after her. Or various extras like the Gerudo symbol, falling sand, etc to give each dungeon it’s own atmosphere. Basically, it was going to take Zelda 1, and genuinely tie it into the world of Hyrule in a way not possible on the NES. It would make the classic less barren and samey and more like the modern Zelda games. Unfortunately, it’s unknown whether the game ever got finished or cancelled. Like Super Mario Land 3 Remix, the official dev blog just stops in 2013. It’s a shame, but for now, there’s nothing anyone can do about it. But hey, not all remakes have been abandoned. For example, GoldenEye Source has been in continuously development for over a decade, and shows no signs of stopping any time soon. 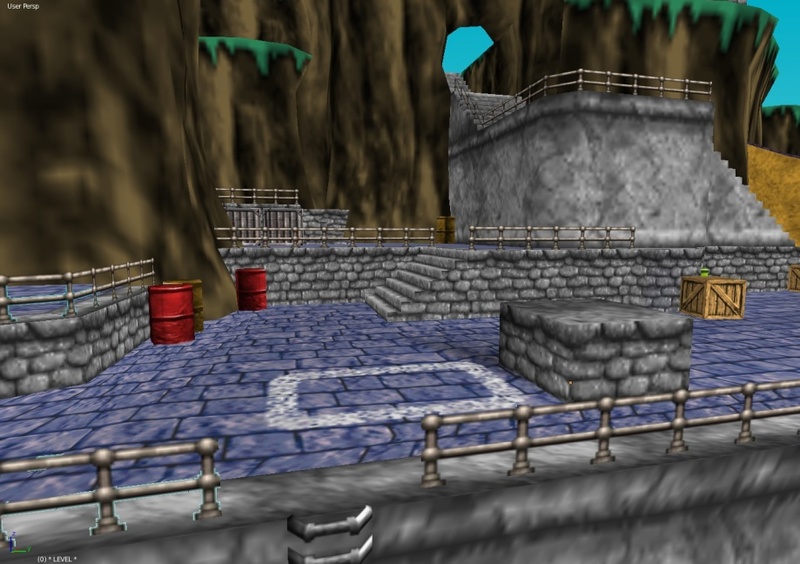 As you can see, it’s got all the classic maps from GoldenEye 007’s multiplayer, as well as a multitude of new ones. Like Casino, based on an area in Casino Royale. Or Ge Depot, a new map set in St. Petersburg in Russia. An achievements system, like in more modern First Person Shooters. Full online multiplayer functionality with extra modes inspired by other Bond movies and Counter Strike. A new soundtrack with both remixes of the original game’s music and all new compositions. And much more besides. Basically, it’s what GoldenEye would look like on a modern system, complete with the ability to play with other people from around the world. All in, a very nice mod, and one that’s still being developed to this day. Which brings us to our next project. Namely, Super Mario 64 HD. And this is a weird one. 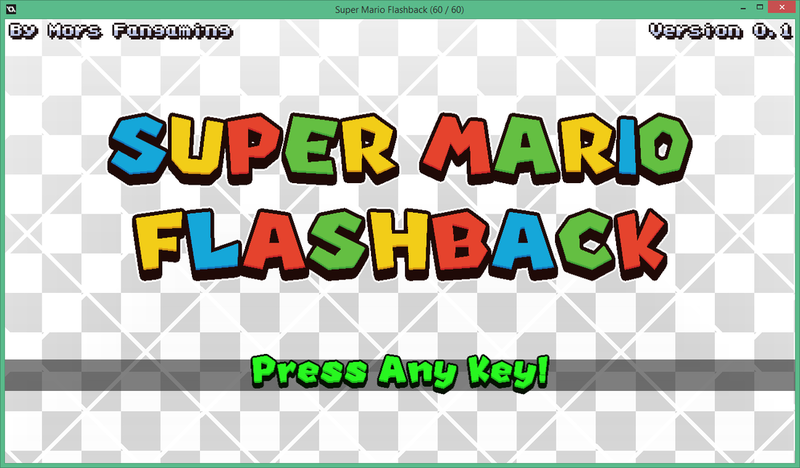 Because there wasn’t just ONE version Super Mario 64 HD. As you can see, it looked very promising. The opening looked like something out of Super Mario Galaxy, the models and areas looked extremely high quality and use of orchestrated remixes made it clear that the music was going to be updated to match the looks. 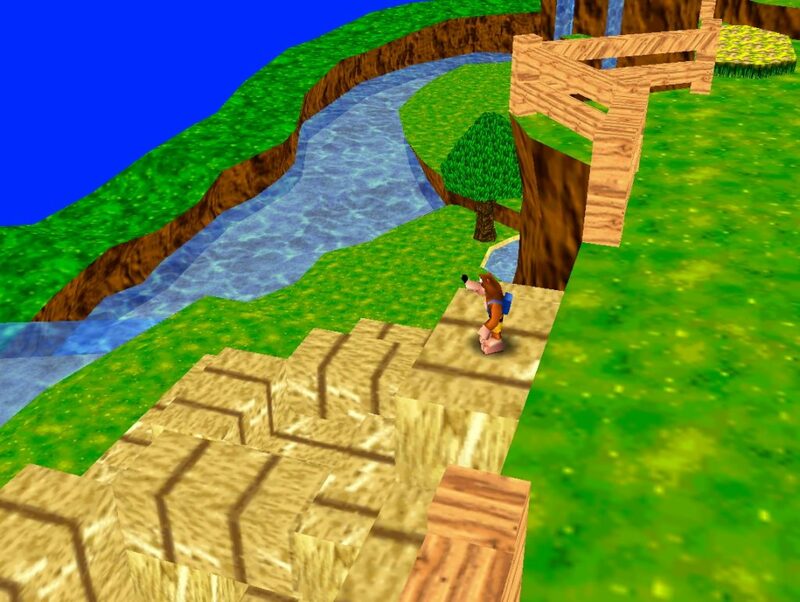 Basically, this was going to be Super Mario 64, as if it was a Wii U game. But that’s kind of where the story ends. Because you see, no one knows what happened to this game. The original trailer came down (seemingly due to the developer being scared of the other Mario 64 HD being shut down), the Facebook page vanished and then the dev team pretty much disappeared off the face of the Earth. Apparently, they were working on the game in secret at one point, but god knows what happened with that. Still, it did look like an amazing fan remake, and one we hope makes a return at some point in time. So now onto this game. The most well known Super Smash Bros mod of all time. But does it count as a remake? Well, sort of. Project M was a Super Smash Bros Brawl mod that tried to change the gameplay to match Melee instead. As a result, various characters dropped from Brawl were remade, stages had changes to resemble their Melee counterparts (like Final Destination), etc. But then it also adds all new stages and characters, and keeps much of the content from Brawl. It’s a close one to call here. Still, it’s intended to be Melee 2.0 in some way, so let’s count it as a remake. Because damn, it is impressive. The mechanics changes are massive, and replicate Melee far more closely than any Smash Bros game released since that point. The remade stages look and work fantastically, with textures and models that wouldn’t be out of place in the ‘real’ game. The new characters work pretty much perfectly, and are very good recreations of their Melee selves. Like Mewtwo and Roy, the ones added before the project shut down. And with the game being basically a ‘best of’ collection based on the Smash Bros series, it’s one of the most impressive fan projects made to date. Heck, it even got its own tournament scene! How many other mods can you say that about? Even the idea of a real metagame is rare in the fangaming world. So to see tournaments, strategies, Smashboards involvement and all that stuff was huge. It was almost like a sixth official Smash Bros title! Sadly, that fame came at a price. Namely, on one miserable December day, the game was unceremoniously cancelled. Why? No one really knows. Some say it’s because of Nintendo legal action, or the threat of such. Some say it’s because of Wavedash or something like that. Either way, the result was the same. The project was cancelled and the team moved on. And while others have taken up the mantle (see, Project M Community Edition), none have managed to match the original team’s work. So for being a sort of ‘best of collection’ for Super Smash Bros, Project M lands at number 3 on the list. But what could possibly be more impressive than Project M? Well, how about a remake of Metroid Fusion? As a Super Metroid ROM hack? No, we’re not making that up. Super Metroid X-Fusion by Metaquarius literally tries to replicate the entirety of Metroid Fusion in Super Metroid’s engine. And here’s the odd thing. And other aspects (like the graphics, music, Samus’ suit and basic mechanics) have been done perfectly. Heck, it’s even got the SA-X working like in Metroid Fusion! It’s not quite identical to Metroid Fusion. Because Metaquarius thought that would be too easy. Instead, he actually did the insane. Now the killing machine has a freaking X-ray to track you through walls and ceilings! Think you can hide easily? Yeah, enjoy the non stop hail of laser fire that’s now heading straight for your face! And that’s just the start of it. Now, the SA-X is a merciless killing machine that can track you across multiple rooms Terminator style, can hunt you down in morph ball form to get through narrow tunnels, and… it hunts in packs. Yeah, packs. You can have MULTIPLE SA-X attacking you at once! That’s terrifying. It’s like if Jurassic Park replaced the Raptors with a group of Terminators armed with machine guns. The kind of thing that makes the ‘singularity’ seem ten times scarier. And with people like Stephen Hawking and Elon Musk saying how dangerous AI could be… well, I suspect something like this might be their worst nightmare. Still, let’s not stray too far from the topic here. Because to put it simply, Metroid X-Fusion is one of the most impressive Super Metroid ROM hacks ever made, and the kind of remake that might actually rival AM2R when it’s completed. It’s one of the craziest ROM hack projects ever made. And it’s pretty obvious why. Not only is Another Metroid 2 Remake an amazing recreation of Metroid 2 in 16 bit, but it’s got one other advantage over most of the list. Namely, it was actually completed and released. Yeah, it took around a decade or so to get there. But once it was completed, we got something on par with Metroid Zero Mission. A full on overhaul with all new graphics, all new music, tons of new enemies and bosses, lots of new weapons and mechanics… Really, this is the kind of thing you’d expect from Nintendo releasing an official remake. The game got a lot of coverage too. As well as an article here (as is the norm for impressive fan projects), it got articles in everything from Kotaku to IGN to Nintendo Life and Gamespot. For a fan game released on the 30th anniversary of the Metroid series, the hype has been insane. Sadly, that hype came at a price. Namely, Nintendo shutting down the various download links for the game with a DMCA notice. As a result of this, anyone who hasn’t played it will need to find an unofficial mirror link, or one of the numerous torrents going around. It’s not difficult, but it is depressing given how much work DoctorM64 put into this remake. And well, that concludes the list. There were some others that were considered for it. Like the numerous ‘standard’ Mario remakes over at SMW Central and Mario Fan Games Galaxy. The various Link’s Awakening remakes that never seemingly got off the starting line. As well as maybe Ocarina of Time 2D, if that doesn’t count as more of a ‘demake’ instead. But the ones on the list won out. They were more ambitious, more generally interesting and a lot more technically impressive than much of the competition too. So what do you think? Do you agree with our choices? Are these remakes all great attempts at recreating ‘classic’ (or sometimes, less classic) Nintendo games? Or were there others that should have been included as well?